I wrote an essay on Cialdini’s theories for my MBA: it felt surreal to be interviewing him on my podcast about what’s happened since Influence was published. How have the principles he articulated more than 30 years ago held up in a world that is almost unrecognisable? (Spoiler: surprisingly well.) And why did it take him 30 years after the publication of Influence to write his second solo-authored book, Pre-Suasion? Alison Jones: Hello, and welcome to Extraordinary Business Book Club. It’s a huge honour to be here today with Dr. Robert Cialdini, who has an international reputation as an expert in the fields of persuasion, compliance and negotiation. His book Influence, first published in 1984, if you can believe it, has sold over three million copies in over 30 languages. It’s a New York Times best seller, and his new book Pre-Suasion: A Revolutionary Way to Influence and Persuade also quickly become a Wall Street Journal and New York Times bestseller. What I love about his work is that it’s based on a very long and distinguished academic career. He’s currently Regents’ Professor Emeritus of Psychology and Marketing at Arizona State University, but also his books are the cornerstone of his business, Influence at Work, which is focused on ethical influence training … I want to come back to that actually … at corporate keynote programmes and the CMCT, the Cialdini Method Certified Trainer programme. His client list is mind-boggling. It includes Google, Microsoft, Coca-Cola, KPMG, NATO. I mean, the list just goes on and on. It’s an absolute privilege to have you on the show, Robert. Welcome to the Extraordinary Business Book Club. Robert Cialdini: Well, thank you, Alison. I’m happy to be with you and your listeners. Alison Jones: Now let’s start with Influence, because it has been, appropriately enough, one of the most influential business books of all time. I don’t know if that’s an exaggeration. That’s quite a legacy, isn’t it? How has that shaped the work that you’ve done since? What did it make possible and what became more difficult in the light of that? Robert Cialdini: Good questions. Let me take them one at a time. As your introduction suggested, I’m an academic, and when I first wrote Influence, behavioural scientists like myself didn’t really write for a larger audience. They wrote for one another, and that was because … and I was one of them. When I would write, I would put a colleague, an expert, in the arena of interest over my shoulder so I made sure that wouldn’t make any mistake, I wouldn’t overstep my bounds. When I was writing for a larger audience, I realised that I had two shoulders, so I decided to put a neighbour over my other shoulder so that I didn’t allow myself to go from one paragraph to the next until I had satisfied both overseers of the information. I had to satisfy the expert, the academic, in the arena of interest, but I also had to satisfy my neighbour, who was just interested largely in how we work as a species. How do we go about influencing people? How do we go about receiving an influence attempt properly? That was a strategy that has served me well subsequently since that attempt. It was successful, so I’ve tried to frame all my future efforts in the same way. Alison Jones: That’s a beautiful way of describing that tightrope that you walk as an academic author writing for a general readership. I love that, that you got these two people. You have to check they’re both still with you. Alison Jones: You know, too fast for one or too shallowly for the other. That’s absolutely hilarious. Did you have a specific neighbour in mind? Robert Cialdini: No, I would change neighbours, depending on the topic area. If someone was particularly interested in business, I might put that person over my shoulder when I was writing about a business implication. If someone was interested in a family implication, I would put somebody … or if I was writing about a family implication, I would put somebody over my shoulder who was interested in that personal relationship side of human behaviour. Alison Jones: Did they actually know? I mean, obviously metaphorically you’re thinking of them and you’re testing out. Did you actually take it to them and get their feedback as well? Robert Cialdini: No, I didn’t. What I did do was to give them copies of the book in manuscript form and ask them if they had any comments or any objections to the material, and I was happy to recognise that … I apparently had done a pretty good job because they found it interesting and had no objections to it. Alison Jones: Brilliant, and of course, I know … I was looking at Pre-Suasion and nearly a third of the book is … well, about a third of the book actually is notes and references, and that’s another wonderful way of doing that because there you have your text and it’s quite fast-paced, it’s got all the stories in. Then you’ve got a load of academic references on the one hand, and interesting diversions on the other in the notes, so that was a really lovely structure as well. Robert Cialdini: Right, each for the person over the other shoulder. Alison Jones: Yes, exactly. Yeah, so you’re very much thinking about each person all the time. That’s brilliant. It was quite a slow burn, wasn’t it, Influence? It’s hard for us to remember now that behavioural science hasn’t always been all over business books, because there’s so many of them these days, but you’re right, back in 1984, this was a very unusual thing, and it didn’t hit the bestseller list immediately in the way that Pre-Suasion has, did it? Robert Cialdini: No, it took about three years, and I think what happened was that the times changed. We started adopting the idea of science-based decision-making, evidence-based decision-making, and because the book Influence provided a particular kind of evidence, academic evidence, scientific evidence, about how the influence process works, how it works, all in one place between a pair of covers, there was this source for science-based influence and decision-making that I think caused it to catch on and move to bestseller levels. Alison Jones: Yeah, because it’s so practical as well. I’m sure it was a slow burn and people are going, “Oh, wow, this really changes the game. This moves the needle.” We should probably just recap for people. I mean, I remember this from MBA days, and I’m sure many people listening will just know the six principles by heart, but just for anybody who doesn’t … and they’re probably in the wrong order … they are reciprocity, liking … I’m going to get them wrong now … commitment, consistency, social proof, authority, and scarcity. Have I got that right? Alison Jones: Good. That would have been embarrassing, wouldn’t it? What’s interesting about those principles is they could have been written yesterday, and that really struck me when I was preparing for this interview, that the book Influence has had such a long shelf life, and I wondered how much of that was due to a conscious decision to abstract these timeless principles, or is that just the way it shook hands with the evidence? Robert Cialdini: Well, it was a purposive motive on my part. I wanted to have something that would stand the test of time that had a kind of universal quality to it, but I tried to ensure that by looking not just at what had worked in the influence programmes I was studying at the time, those that were current and all around me, but also across generations. I looked to see what the salesmanship manuals from a hundred years ago were saying, were advocating that salespeople do. I even looked at what the ancient Greeks, Aristotle, Plato were urging orators to say to convince their audiences. And where I saw an overlap between what was going on now and what was being urged and recommended centuries ago, that was a key that those particular principles must have a kind of long-standing character that’s representative of the human condition rather than the current situation that we were in. Alison Jones: Yeah, these are not fads, clearly. Alison Jones: That’s funny. Actually, one of my listeners, when they heard that I was going to be interviewing you, asked about … I thought it was a really interesting question … asked about cultural applicability. So we’ve got a historical look, let’s look as well, have you looked, for example, how those principles hold true in different cultures, for example, in China? Robert Cialdini: I have looked at how they work across cultures, but the best study was done not by me, but by Citibank, that has offices in almost all of the countries of the world city, and they did an interesting investigation. They asked their managers in four separate cultures: the US, UK, Canada on the one hand; that was one. Another was the Far East: China, Japan, Korea was another. A third was the Mediterranean cultures: Italy, Spain, Portugal, Greece, and finally, the northern European and Scandinavian countries: Germany, Norway, Sweden, so on. And in the UK/US/Canada, the answer was, “I would ask myself what has this person done for me recently?” If the answer was, “Oh, this person has helped me, I was helpless. I had to say yes,” so it was reciprocation, right? It was giving back to those who gave to you. Now, that wasn’t the only principle, but that was the one at the top. In the Far East, the answer was different. It was “I would ask myself is this requester connected to my boss, to the senior person in my group? Out of fealty to that person, I have to say yes. To my boss, I have to say yes. It would be like turning down my superior.” So it’s the principle of authority in that case. Alison Jones: Oh, that’s interesting. Robert Cialdini: Commitment and consistency. If I have come on board and adopted these values, then I have to behave in alignment with them. Alison Jones: What’s interesting as well, is that as you were saying those, I was trying to second guess them in my head, and it’s pretty close to what I would come up with, so it’s interesting how our stereotypes have a grain of truth in them. How interesting. Alison Jones: That is fascinating, and going back to the thing about the research, obviously you’ve got very, very solid academic research going on here. What fascinated me as well though was that real world stuff. I mean, very similar to what you just talked about there with Citibank, but you also went undercover, didn’t you, just to see how people tried to persuade you to buy into schemes, and so that’s really interesting. Robert Cialdini: Well, I realised that there was a much grander experiment going on than any one I could conduct in my laboratory, and that is there are commercial professionals, influence pros, whose business it is to get others to say yes to them. What are the training programmes of those professions telling new members to do based on what they’ve learned over aeons of trial and error? So I took training undercover, incognito, with disguised identity, disguised intent. I answered ads and took training in those organisations to learn what they had learned that got people to say yes to them. Then across all of those various training programmes, I looked for the commonalities. Which were the things that were in parallel across sales and marketing and recruiting and fund raising and so on? And it was just these six. Six principles. The only commonalities across all of them were these six. Alison Jones: Amazing. And I’m talking about Pre-Suasion now rather than Influence, but some of the tricks that you discovered were incredibly simple and incredibly powerful at the same time, weren’t they? I’m thinking about the salesman that would pretend to forget something and the people in the house would allow him to let himself back through the door, and thereby imbuing him with the identify of somebody that they trusted, and they were much more likely to buy from him. Incredible. Robert Cialdini: Exactly. This man said to me “Think, Cialdini!” when I was asking him what he was doing, leaving and coming back, leaving and coming back, he said, “Who do you allow free access to your home? Only someone you trust, right? I wanted to be associated with trust in the minds of those customers before I ever tried to sell them anything.” It was pre-suasive, something he did before he ever opened his sales manual. Alison Jones: It’s astonishing how powerful that is. I mean, it sounds such a simple thing, and there’s so many stories like this in the book. I mean, even just getting somebody to hold a warm drink making them more likely to describe you as a warm person, to like you more, if you like. Just incredible. I found it fascinating, but also slightly depressing, just how easily manipulated we are, just horrifying. Robert Cialdini: It is, but you know, I think there’s something to be said about the value of automaticity. Normally things like the people we trust giving us good options is adaptive and beneficial. What’s troubling is that people can trick the system and make trust apply to the wrong situation. That’s worrisome. Alison Jones: I know, it’s very interesting to see that in your business, you talk a lot about not only using these principles effectively, but using them ethically. Can you just tell me a little bit more about it? Let’s talk generally about how the books work with the business, but I’d love to talk that issue with the ethical implementation particularly. Robert Cialdini: Yes. Well, we do workshops based on the books for those individuals who want to learn how to comport themselves more effectively within the influence process, how to move others in their direction in ways that are effective and ethical at the same time, so they can feel good about themselves in the process of doing well. One of the pillars of our claims about those workshops is besides that they’re built on scientific evidence, is that they are grounded in ethical treatment of those that we are trying to move in our direction. We think that that’s not only right to do from the standpoint of longterm profit, but we think it’s right morally and ethically to behave that way toward the people who we have business relationships with. Alison Jones: There is a very pragmatic element here as well, isn’t there, that if you encourage your salespeople to cheat your customers, then they’ll go around and cheat you too. You know, you live by the sword you die by the sword as a business, don’t you? Robert Cialdini: That’s exactly what we found in a recent study that those organisations that require that their employees be dishonest in some way or another in representing the company or its products have a kind of moral tension that is created, distress that’s created in those people who find cheating unacceptable. Those people leave, and what the company is left with is a precipitate of individuals who are comfortable with cheating. What we find is that those people will then turn around and cheat the company. They will steal equipment. They’ll run under-the-table deals with vendors or suppliers. They’ll pad their expense accounts and so on. So those companies that regularly are dishonest in the treatment of those outside of their organisation will create a culture of dishonesty that will foster dishonesty inside the organisation. They will have pulled the viper under their coats. Alison Jones: There is a deep moral satisfaction here, isn’t there, for those of us who like to see integrity in business? Alison Jones: Also, it makes me think of something that is also really interesting about the principles of influence particularly, is that there’s so much transparency today. There’s so much more than in 1984. In 1984, a customer wouldn’t really have much of a sense of what was going on within an organisation, but now, Glassdoor, with absolutely transparency on social media, whistleblowers and so on, it’s changed the game, hasn’t it? Robert Cialdini: Yes, user groups. What’s changed about the six principles of influence since I wrote the book is not their impact on people, it’s their relative availability to people, and the one that’s available now like never before is social proof. What have other people around me like me said about this organisation or this product or this service? What have been their experiences with it? We have access to that now like never before. I saw an amazing statistic, that among people who regularly shop online, 98% say they first check product reviews before they buy. 98%? Alison, we can’t get 98% of the people in the world to believe that the earth is round. But we get 98% piling into this very powerful principle when it’s available to us. That’s a telling piece of information. Alison Jones: Yes, absolutely, and what’s interesting is that those principles, as you say, they don’t change, but they become more so. That’s what really struck me, that my goodness, I can’t believe this is written so long ago because so much of that is … it hasn’t changed in qualitatively, it’s just changed in the sense that there is more of it available in this world, which is really interesting, isn’t it? I mean, there you go. That’s what you get when you take the long view and you look at your Greek orators while you’re looking at your 1984 situation: You get a book that holds true in 2018. It’s quite incredible. Now, I love that example you gave of sitting with the academic and the neighbour on your shoulders as you wrote. I always ask my guests for their one best piece of advice that they would give to a first time business book author. Is that it, or is there another one that you’d like to share with us? Robert Cialdini: Well, there’s another one that was very important for me. In fact, we did some research to validate it, and that is get an agent, because an agent will serve first of all as someone who will give you advice about directions and modifications and sharpening and so on of your argument. But if you get an agent, two good things will happen. We did a study that showed if you have an agent for your book, you will get a significantly greater advance for it, because the publisher assumes that if you’ve gotten an agent, you have crossed one barrier, indicating that what you have is of value. This is someone who’s willing … a professional who’s willing to represent and advocate for you. So just your credibility goes up if you’ve got an agent. The second reason is your publisher will like you more because your agent will do the boasting and bragging for you. Alison Jones: And it’s easier to like someone when they’re not bragging. Robert Cialdini: Exactly. You don’t have to be a source of self-promotion. Your agent does it, and you’re liked more as a consequence by your publisher. In our study, those individuals who had an agent, when we asked the publisher, “How likely would you be to invite the author to your home for dinner at a dinner party where he or she could meet other influential individuals?”, and it was significantly greater if there was an agent, because of this liking factor. Alison Jones: That’s hilarious. I’m going to tell all my agent friends that, that’s one of their big roles, that’s really funny. Yeah, agents are wonderful, because as you say, they do all those wonderful things and they do the nasty negotiation, all that kind of stuff. They get a better structured contract, but also they give fantastic editorial support as well, and emotional coaching and coaching through the writing and advice, so yeah. Robert Cialdini: Yeah, and that was certainly the case for me. Alison Jones: Wonderful. A good agent, of course, because there’s a mixed bag out there, but yeah. Great, really good advice, thank you. Another question I always ask my guests is to recommend someone else, and obviously that’s why you’re here as well. So who would you think would be a really good guest for the Extraordinary Business Book Club? Robert Cialdini: You know, I’m going to take a step back from the idea of business and say that what we really want in our businesses is to be happy, not to be profitable necessarily. We want to be happy, and there are two authors who have written very astutely I think about what we can do increase the likelihood that we will be glad at the end of every day. They’re both academics. One is Sonja Lyubomirsky, who wrote a book called The Myths of Happiness. What she did that was different from what most other authors writing about happiness did, which is they would say well, what are the factors that lead to happiness in people? Good personal relationships, a sense of purpose, these kinds of things. She asked what are the things you can do every day that will give you a gladness upgrade? Alison Jones: That’s a great phrase. That’s a lovely recommend. I’m going to have to work on her surname. Robert Cialdini: Yeah, it’s Lyubo- … she was actually a Russian national. Grew up in Russia and then moved to the United States and has become a respected academic. There’s another book called Happy Money: The Science of Happier Spending. This is not how to make money happily, but how to spend your money happily. It’s a pair of academics, Elizabeth Dunn and Michael Norton, and the book is titled Happy Money: The Science of Happier Spending. Any of those authors would be great for your show, I think, Alison. Alison Jones: They sound absolutely fascinating, thank you. And I don’t know them at all, so really, really useful to have recommendations that take me off in a new direction. I love that, thank you so much. Now, Robert, if people want to find out more about you, more about your books, where should they go? Robert Cialdini: Well, the single best place is to our website, www.influenceatwork.com. Influence at work is all one word, dot com. Alison Jones: Fantastic. I’ll put that up on the show notes. Anywhere else? Robert Cialdini: No, that’s the best clearinghouse for all the things I do. Alison Jones: Fantastic, and you get everything else from there. It was such a pleasure and a privilege to talk to you and to get a little bit of an under the hood insight into the writing of one of my very favourite books, so thank you so much for your time. Robert Cialdini: I enjoyed it. Alison Jones: And just after we finished the interview and we were still chatting, and I asked Robert about that gap between the two books and how hard it must have been to follow Influence, and his answer was so great that I just asked him could we start recording again? So Robert, why did it take you so long to write that other solo authored book after Influence, a gap of 30 years or so? 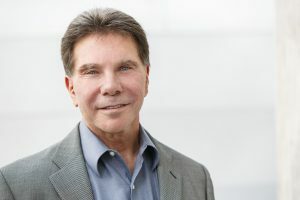 Robert Cialdini: The truth is I didn’t have an idea big enough to warrant another solo authored book until Pre-Suasion came along. I didn’t want to be in a position of having to plant a bunch of bushes around the tree that Influence had become. I wanted to wait until I had the seed for another tree, and that didn’t happen until the idea for Pre-Suasion. Alison Jones: What I love about that is it’s very reassuring to people who are perhaps trying to force a book that isn’t ready to come yet. It’s okay, you know? When the idea is there, then write the book. Robert Cialdini: Yeah, and if you had a successful first book, your publisher and your editor will be pushing you to take a minor idea and try to make it something more than it is, and I’ve always thought that was a mistake when I saw other authors do that sort of thing and yielding to that pressure. Alison Jones: Yeah, that’s so interesting, and of course, a book is not your only option these days. There are lots of ways in which you can explore as you see more minor ideas, and maybe those minor ideas will grow in time as well, you know, take on a new significance. But you know, there’s blog posts, there’s working with other people. There’s articles, but the book is something a bit special, isn’t it, and I love the fact that you held out, because Pre-Suasion really does have the same sort of status I think in the world as Influence, and that was a big ask. Robert Cialdini: Well, I’m glad that I did as well. book, Cialdini, influence, persuasion, psychology, publishing, writing. Bookmark. This is one of the best interviews I’ve ever listened to and I really appreciate the transcript below since I learn much better through reading. I also love Robert Cialdini’s work. I guess that’s why I loved this episode so much. Thanks for posting it Alison! I’m glad you enjoyed it and found it as helpful as I did, Matt! Thanks for taking the time to let me know.